William R. Caine, Jr. age 66 of Rocky River died suddenly at his home on Wednesday, August 9, 2017. He was the son of the late William and Coletta (nee Miller); brother of Thomas A. Caine; uncle of Jessica (Nick) Caine-Otterbacher and Matthew T. (Michelle) Caine; great uncle of Reagan and Kaine Otterbacher, Vivian and Scarlette Caine; cousin of many. 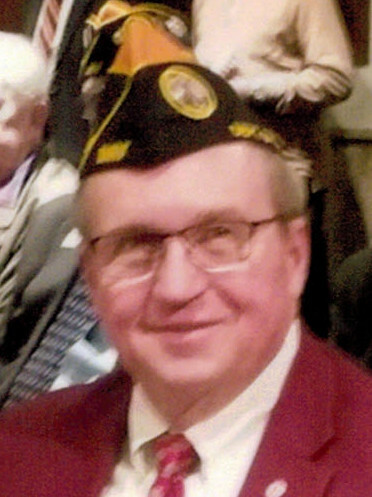 William was the current commissioner of Cuyahoga County Veterans Service Commission, retired Cuyahoga County Prosecutor, former commander of Disabled American Veterans #116 and former Ohio Disabled American Veterans Commissioner. A memorial service will be held at 10:00 AM Thursday, August 17, 2017 at Cove United Methodist Church 12501 Lake Ave. Lakewood, Ohio 44107 where William volunteered many hours. Inurnment with military honors will be at 10:00 AM on Friday, August 18, 2017 at Ohio Western Reserve National Cemetery. In lieu of flowers contributions may be made to Parma DAV Chapter 116 PO Box 29504 Parma, OH 44129 or Cove Community Church Meal Program 12501 Lake Ave. Lakewood, OH 44107. A truly amazing and caring person! He touched many hearts, and helped countless vets! Bill represented/lived everything holy name high school tried to teach us! Thank you bill!